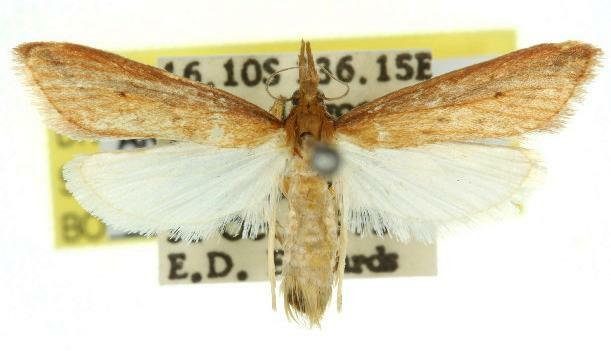 The adult moths of this species have brown forewings each with one or more dark brown marks near the middle. The forewings lose scales easily, becoming off-white with brown veins. The hindwings are white. Volume 8 (1960) p. 338.